Range repair. Got the job ahead of time. Flexible. Very pleased. Would recommend the company. Tech very knowledgeable and personable. WASHER WHIRLPOOL MVWB835DW1 "Found faulty gearcase part covered W10811956 at vadnais customwr scheduled for Wednesday needs last call of day. Labor 130.00 call 97.95 ship 12.00 total 240.84 collected ; ordrng 1 W10811956 (drum assy), used 1 Ship (Shipping/Handling) from stock"
RANGE WHIRLPOOL WFE505W0HW0 "Door seal pins bent and twisting sea, installed new seal checks ok"
RANGE MAYTAG MGR7662WS4 Installed new harness and control reached 350 preheat in 18 minutes with no isssues ignited right away. 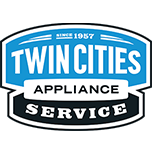 Whirlpool Dishwasher WDT720PADM1 INTERMITANT- WONT ALWAYS START OR FILL WONT WASH ALWAYS SOMETIMES JSUT FINE. Needs new sump.